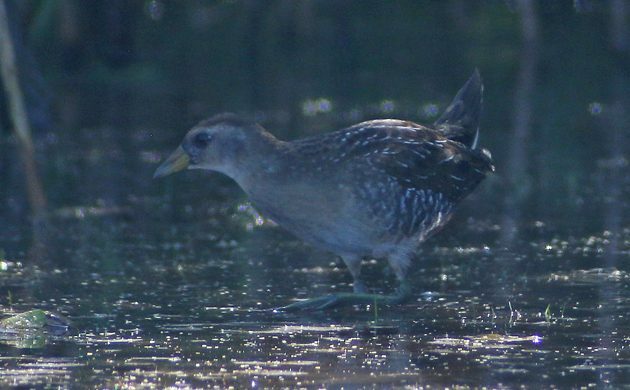 Last weekend a Sora was spotted at Jamaica Bay Wildlife Refuge and I had no time to go see it. Having only seen three Sora in my decade-plus in Queens I was hoping against hope that the bird would last through the week so I could go see it this weekend. Amazingly, the bird stuck, and after birding Fort Tilden early in the AM with Seth and Mary we three headed to Jamaica Bay’s East Pond to try to track down either of what had become two Soras being seen in the refuge. To make a not very long story even shorter, we saw the bird. It was wandering in the open on the edge of the phragmites, feeding somewhat frenetically. My fourth Sora in Queens and the best prolonged looks I’ve had of one in the borough. 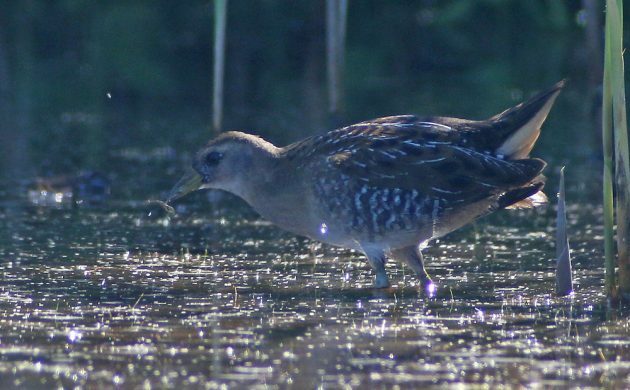 The only bummer was the sun being high and the sky and against us but the Sora spent most of its time in the shade of the phragmites which wasn’t too bad. Soras are infrequently found in Queens though they assuredly occur every year. Every sighting I’ve had has been on the East Pond of Jamaica Bay between 22 August and 16 September, which is the peak of their migratory movement through Queens though they have been reported as late as November. 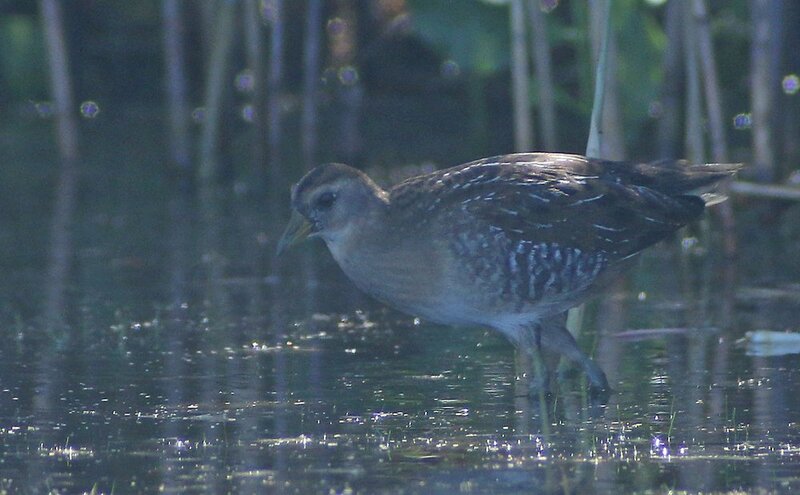 Interestingly, there are very few spring records of Sora in Queens, despite the fact that birds are more likely to call in spring and so should be more easily detected. Perhaps they mostly migrate more to the west?